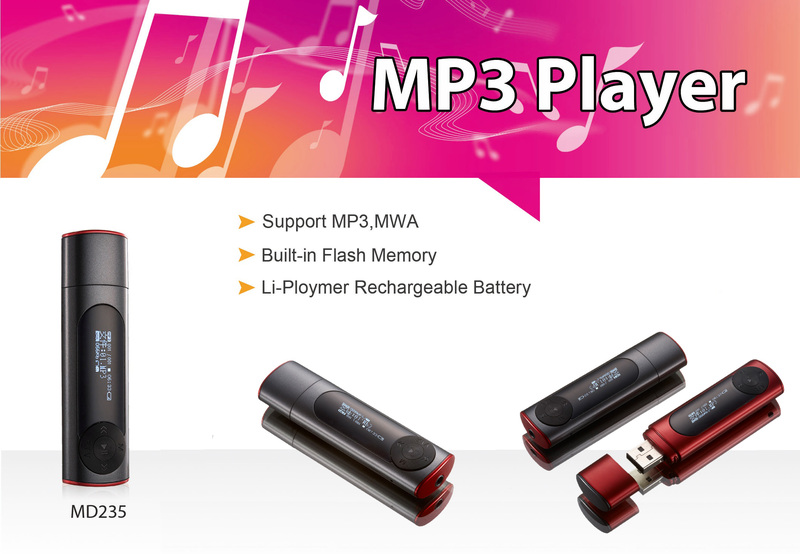 8GB MP3 Player, Music Player With USB Flash Drive, Recording, FM Radio, Supports Up To 16GB is equipped with a small OLED display that provides users with long-term continuous playback. Its built-in micro-SD memory card slot provides storage options for your favorite music, movies and data up to 8 GB or even 16G. 8GB MP3 Player, Music Player With USB Flash Drive, Recording, FM Radio, Supports Up To 16GB is equipped with a small OLED display that provides users with long-term continuous playback. Its built-in micro-SD memory card slot provides storage options for your favorite music, movies and data up to 8 GB or even 16G. Other convenient features include FM radio, FM transmitter, recorder or clock. Large memory: Up to 2000 songs can be stored in 8 GB of memory; up to 16 GB Micro SD card (not included). Versatile: It has MP3, recording and FM functions, and it is easy to operate.